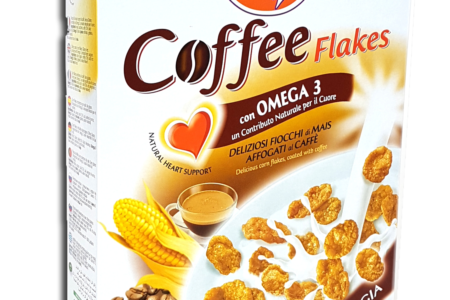 Crispy bran flakes with Glucomannan, to be eaten at breakfast, munched or add to main meals. 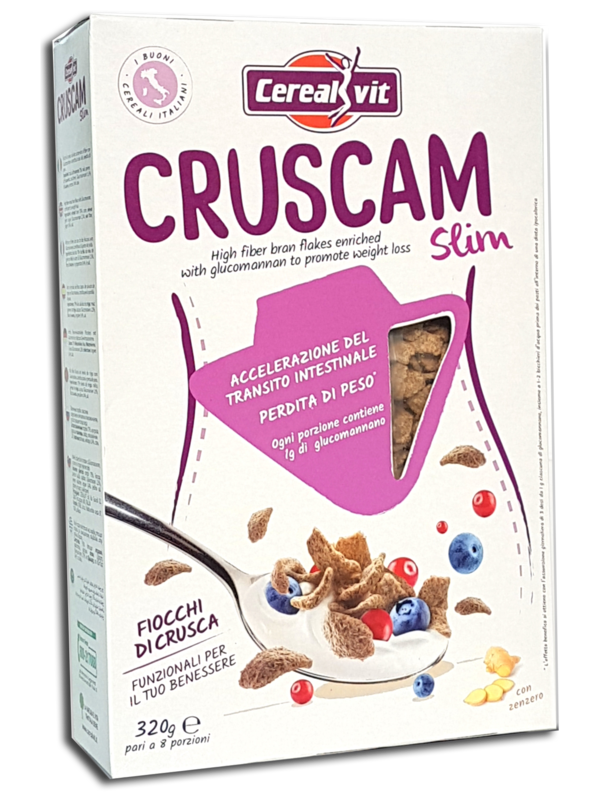 A 40 g serving of Cruscam SLIM already provides 50% of the fiber you need in a day. The alimentary fibers, with the liquids, contribute to the acceleration of the intestinal transit. 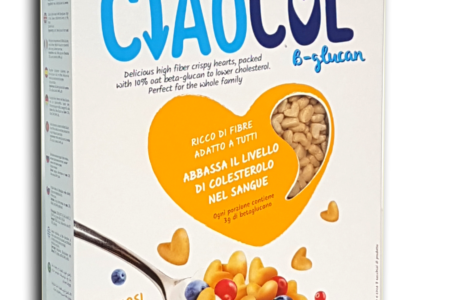 Each serving contains 1 g of Glucomannan, a natural fiber that absorbs liquids in the stomach and increases up to 60 times its volume, thus favoring a sense of satiety that lasts about 3 hours and which leads to less eating. You can consume SLIM cruscam even before main meals, always accompanied by an abundant glass of liquids, such as juice, tea, or simply water. So you can lose weight easily and without too many sacrifices. Cruscam SLIM can be consumed by everyone. Use it as part of a healthy life and a varied and balanced diet. Cruscam SLIM is ideal for activating the lazy bowel and staying in line.